How do I register the code for Shadowbringers expansion? 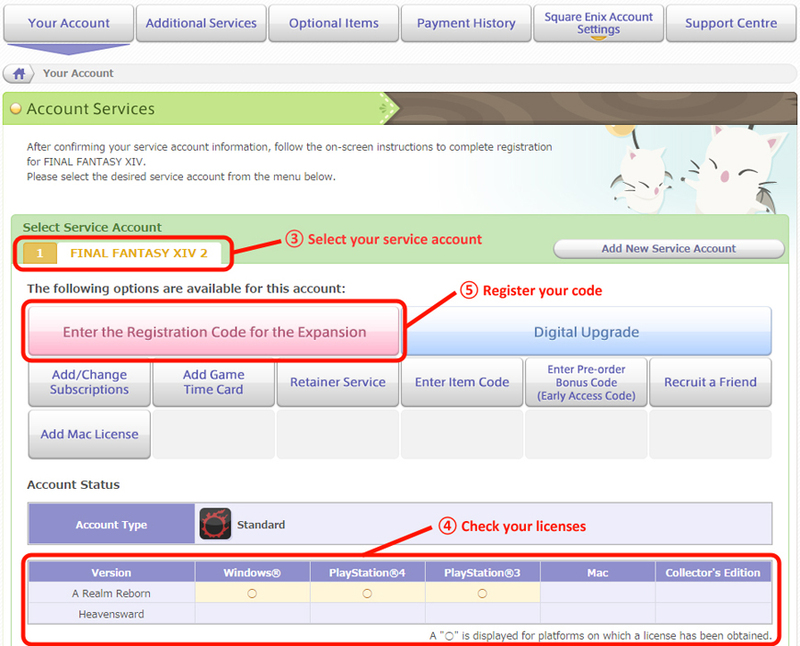 To register your code for FINAL FANTASY XIV: Shadowbringers and download the expansion, please click the button relevant to your platform and follow the instructions. Log in to the Mog Station with your Square Enix account. Select the service account you want to register the code on. Select 'Enter the Registration Code for the Expansion"' and follow the instructions on-screen. 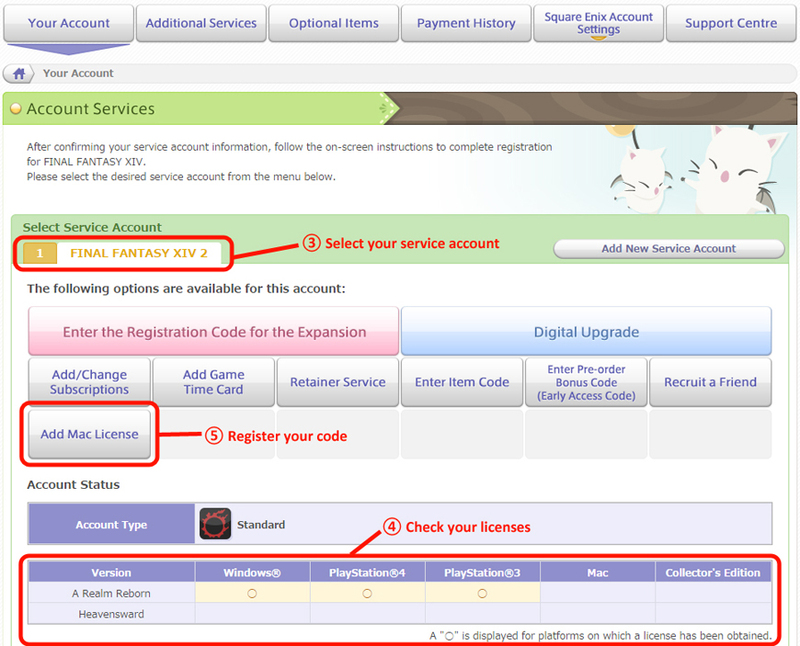 Start the FINAL FANTASY XIV: Online launcher and log in with your Square Enix account. Shadowbringers will be downloaded automatically. Open the PlayStation®Store on your PlayStation®4. Enter your Shadowbringers code and follow the instructions on-screen to download the expansion. Start FINAL FANTASY XIV: Online. Choose the service account you wish to register the code on. Select 'Add Mac License' and follow the instructions on-screen.